Sure, he didn’t hit a lot of home runs or accumulate a ton of RBIs and only posted a paltry .294 career batting average along with 808 SBs – so yeah he was an earlier version of Juan Pierre. 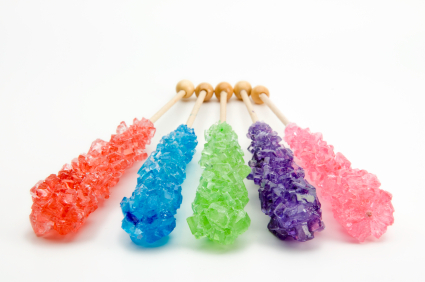 I guess what gets me so mad is that I always loved Tim “Rock” Raines (partly because he reminded me of rock candy, which is absolutely delicious and sugary). At that time of my life, his game somewhat resembled my little league skills – or at least in my mind it did. I hit and walked and stole. In our little league championship game, I walked 5 times, stole second and third each time and scored 5 runs. We won 5- 1. In my mind, that’s my Rock Raines moment. Of course, I think I know Rock means something else now, but whatever, he’s still great. You know why? Rock played in the 46th most games all time — 2,502. That’s a staggering number and well more than most guys ever dream of. In all that time, he amassed the seventh most hits (2,605) ever by a switch hitter – trailing such notables as Pete Rose, Eddie Murray, Frankie Frisch, Roberto Alomar, Max Carey and George Davis. He also has the 7th best OBP among switch-hitters. Oh, and there is plenty more. He absolutely smacked the ball around – he has the 12th best OPS among switch-hitters at .810. Along with playing the 46th most games, he scored the 45th most runs in MLB history — 1,571. Raines also accumulated the 32nd most walks in MLB history – 1,330 – more than Mark McGwire, Fred McGriff, Luke Appling, Edgar Martinez, Ty Cobb, Dave Winfield and a host of other characters. While Andre Dawson was pretty feared, Raines was intentionally walked 148 times, the 40th most in MLB history — and five more times than Dawson. He has the fifth most SBs all time; less than Cobb, Billy Hamilton, Lou Brock and Ricky Henderson. But he is tied for second in SB success percentage at 84.7%. Calling him the second most prolific base stealer in the history of major league baseball is absolutely no stretch. Oh and he also likes Matlock and remote control airplanes (cue Modern Family link). The Matlock love should be enough to sway the Hall of Fame-aged voter alone, not sure why I started with all those new fangled statistics like walks and batting average. I just wish I knew how good he was while he was still playing. I feel I greatly underappreciated/(under)feared him…except when he played for the Yanks in the late 90s – always seemed to get the O’s.